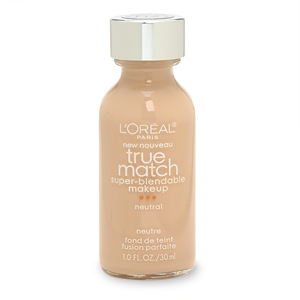 L’Oreal True Match Super-Blendable Makeup comes in 24 shades, which far exceeds other drugstore makeup brands. I used the foundation closest to my skin color using the color swatch, but when I tried it on my face, it was far too light on me. Maybe it would work for winter? Also, it had a really matte almost powder-like finish that accentuated my dry spots. Seriously, my skin looked 100% better with no makeup on than with this foundation. It did help remind me that it was time to exfoliate, however! I used to wear this foundation all the time until I started breaking out in a huge rash on my forehead. It took me months to realize that I was allergic to this makeup! I completely agree that natural skin is the best. I hardly touch mine now and its glowing!